Sant Feliu de Guixols, the largest town on the Costa Brava, is located in a beautiful bay, enclosed by the quay of a sheltered harbour. 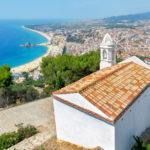 This well-maintained seaside village is surrounded by hills and pine forests and is bordered by Playa de Aro and S’Agaro to the north and Canyet and Tossa de Mar to the south. Sant Feliu de Guixols traces its origins to the 12th–century Benedictine monastery. Busy port traffic, the prosperous cork industry and the growing bourgeoisie have left their mark on Sant Feliu de Guixols. The modern villas and the Casino Constancia at the edge of the beach still bear witness to a period of immense wealth. During the summer months, Sant Feliu de Guixols transforms from an important port city into a pleasant seaside resort. 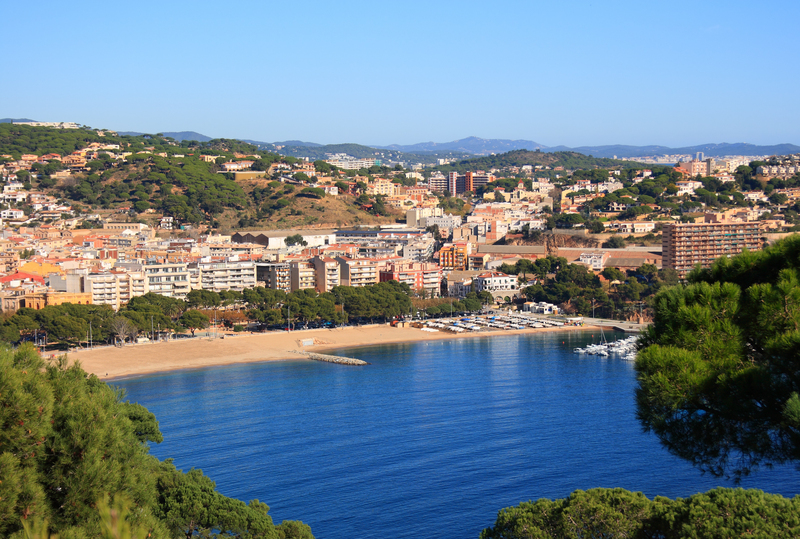 Sant Feliu de Guixols enjoys a mild Mediterranean climate. Even in spring and autumn, you have pleasant temperatures. It is only in winter that the mercury falls below 10 degrees and there may be some precipitation. Find your villa in Sant Feliu de Guixols, here! 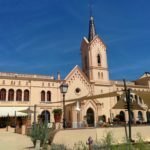 The Benedictine monastery, dating back to the 12th century, is the most important monument in Sant Feliu de Guixols.During the same period, a chapel was built on the ruins of a fortress above the Sant Elm headland. The chapel of Sant Elm was the refuge of sailors of old. In the sanctuary, they prayed to their patron saint of the same name for good fishing and the successful return of the fishermen. In this location, the headland offers you a magnificent panoramic view of the Costa Brava. Incidentally, it was here that the journalist Ferran Agullo gave the Costa Brava its name. 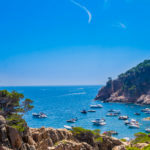 Just like many painters from the surrounding area, in Sant Feliu de Guixols you will discover the immense beauty of the rocky coastline, combined with small coves and beautiful beaches of fine sand, which is very characteristic of the Costa Brava. The journey from Sant Feliu de Guixols to Lloret de Mar is one of the most beautiful journeys on the whole of the coast of Spain. The wide road has many parking spots overlooking the fabulous scenery. The coastline of Sant Feliu de Guixols extends for 10 kilometres, where you can choose between three large beaches and many smaller beaches hidden in picturesque coves. 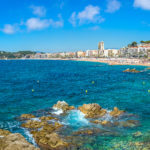 The main beach of Sant Feliu de Guixols, an open and shallow bay, is located next to the fishing port and welcomes thousands of tourists every summer. Various sporting and water activities are available. Sant Feliu de Guixols has a water treatment plant and machinery specially designed for the daily cleaning of large beaches. A modern water system ensures that wastewater can’t flow into the sea. 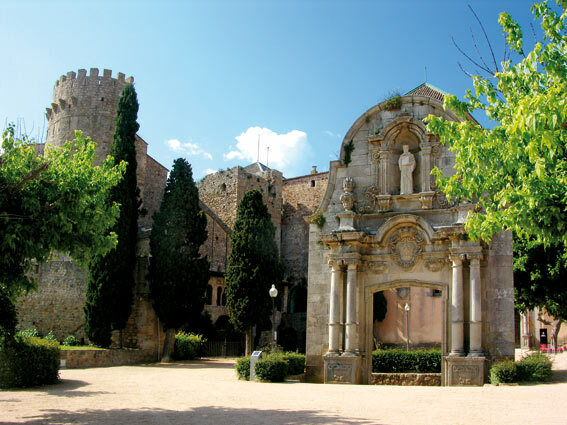 The Benedictine monastery of Sant Feliu de Guixols, dating from the 12th century, is truly worth a visit. Together with the Porta Ferrada, a Romanesque portico, the Sant Elm chapel and the Mare de Déu dels Angels church with its Fum and Corn towers, the monastery forms the centre of the ancient town, which reflects this with characteristic mediaeval architecture. Today, the monastery houses the museum of the town’s history and will soon become the headquarters of the cultural centre including a collection from Carmen Thyssen-Bornemisza. The old town centre is a striking contrast to the modernist buildings such as the La Constancia casino, built in 1888, and the new casino. The market place, Plaza del Marcat, is the bustling shopping centre of Sant Feliu de Guixols, where you can buy fresh produce daily. The local boulevard Passeig del Guixols and the coastal promenade of Passeig del Mar run along the coast and beaches, and offer a lovely stroll and relaxing break on one of the many terraces. In Sant Feliu de Guixols there is also an old station that was built in 1890, but hasn’t been in service since 1970. – Above Sant Feliu de Guixols sits the Pedralta, Europe’s largest rock. In the beautiful setting of Sant Feliu de Guixols, you can go hiking or cycling along the Empordà marshes, where you can observe many water birds, and admire the volcanic area of Garrotxa and the massif of Montseny. The annual carnival of Sant Feliu de Guixols has a reputation as one of the best on the Costa Brava. 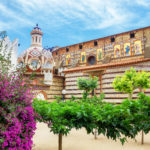 In summer, Sant Feliu de Guixols organises an annual international festival:the Ferrada Porta where you can enjoy all sorts of theatre, music and dance performances. On the 1st of August, Sant Feliu de Guixols celebrates the traditional Fiesta Mayor in honour of Sant Elm, the patron saint of the town. Do you want to enjoy a relaxing stay in the most beautiful region of the Costa Brava? Opt for a stay in a modern villa with pool in Sant Feliu de Guixols. Check out the rentals available and book your villa, here!